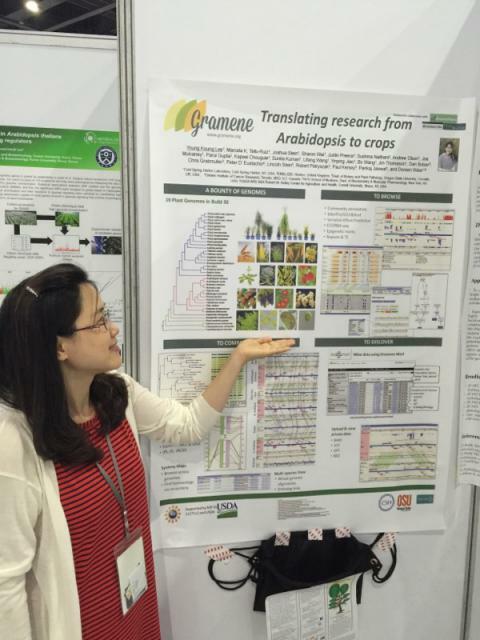 From September 26-29th 2016, rice researchers from around the globe gathered in Montpellier, France to participate in the 14th International Symposium on Rice Functional Genomics (ISRFG) to discuss recent advances and exciting breakthroughs in rice genome biology and how this knowledge is being applied to improve the yield, and quality of rice, a major cereal crop. The Global Open Data for Agriculture and Nutrition (GODAN) initiative supports the proactive sharing of open data to make information about agriculture and nutrition available, accessible and usable to deal with the urgent challenge of ensuring world food security. GODAN is also a rapidly growing initiative with over 370 international partners from governments, universities, businesses, and not-for-profits. 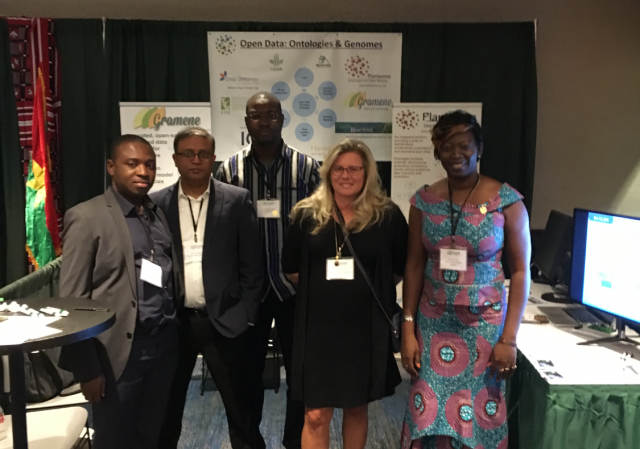 Open Data: Ontologies & Genomes booth exhibit. Dr. Pankaj Jaiswal (OSU) and Dr. Doreen Ware (CSHL) with summit participants. Check out Gramene's improved search! Would you like to get a sneak peek of what you can find in our databases on your favorite gene, gene family, protein domain, pathway...? Tweak a gene tree to only show your species of interest? Be able to narrow your results by category? Or are you simply having trouble finding your way through the Gramene website? Then this FREE 30-min webinar is for you! Representing Gramene, Dr. Sushma Naithani and Dr. Joshua Stein, will be available during the upcoming 14th International Symposium on Rice Functional Genomics in Montpellier, France on September 26-29, 2016. Dr. Naithani will present general updates to the Gramene Database and detailed navigation of the Plant Reactome database, a resource for comparative plant pathway analysis in the Bioinformatics Workshop ISRFG2016 on September 28th (Workshop Organizer: Dr. Francois Sabot). Dr.
Gramene database (www.gramene.org) offers resources for conducting comparative studies on plant genomes and pathways. Over the years, we have made efforts to reach out to the various communities of plant scientists and have assisted many individuals in using various tools/and resources available from the Gramene. We have also established connection between ours and other publicly available data sources. In year 2015 and 2016, Gramene has been cited ~90 times by various researchers. Gramene Database build 51 is out! Read more about Gramene Database build 51 is out! Submitted by Young Koung Lee on August 4th, 2016. The ICAR 2016 meeting was held at GyeongJu Hwabaek Convention Center, Korea on June 29- July 3, 2016. 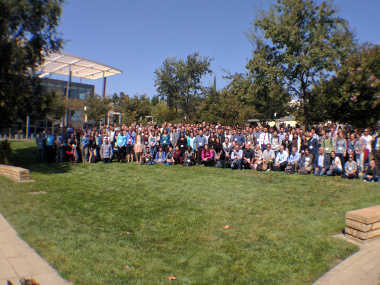 The meeting brought ~1000 Arabidopsis researchers from all over the world, especially Asia, Europe, and North America.